Investing.com – The U.S. dollar fell against its rivals despite upbeat economic data pointing to signs of faster inflation as traders awaited the Federal Reserve’s interest rate decision due 2PM ET. 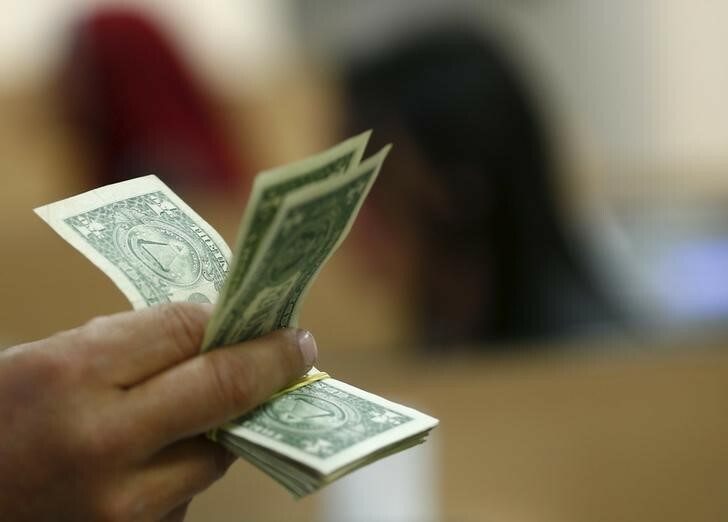 The U.S. dollar index, which measures the greenback’s strength against a trade-weighted basket of six major currencies, fell by 0.26% to 93.59. The Labor Department said on Wednesday its producer price index for final demand increased 0.5% last month, topping expectations for a 0.3% rise. In the 12 months through May, the PPI rose 3.1.% after rising 2.6% in April. The faster pace of inflation comes as data showed Tuesday the consumer price index rose 0.2%, beating economists’ forecasts for a 0.1% rise. The duo of reports did little to lift the dollar as market participants appeared reluctant to initiate large positions ahead of the potentially market-moving Federal Reserve’s interest rate decision, update on economic outlook due 2pm ET and press conference from Fed chair Powell at 2.30pm ET. With the Federal Reserve widely expected to hike rates by 0.25%, investor attention will likely focus on whether the U.S. central bank lifts its 2018 interest rate outlook to four rate hikes from three hikes. “The ‘dot plot’ will continue to suggest a likely path of 3 hikes this year and next,” Morgan Stanley said. The dollar was also held back by a rising euro as traders increased bets the European Central bank at its meeting slated for Thursday will signal an exit to its massive bond-buying programme. EUR/USD rose 0.35% to $1.1786, while GBP/USD rose 0.07% to $1.3382 as the latter currency pared gains despite U.K inflation matching economists’ estimates. USD/CAD fell 0.38% to C$1.2965 as rising oil prices continued to support the loonie amid a report from the Energy Information Administration showing a larger draw in U.S. crude supplies. USD/JPY rose 0.05% to Y110.43.